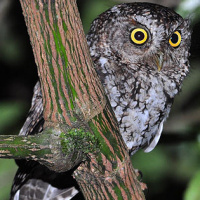 The Bearded Screech Owl is a very small owl with short ear-tufts. 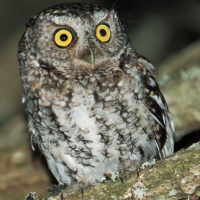 It is also known as the Bridled Screech Owl or Santa Barbara Screech Owl. 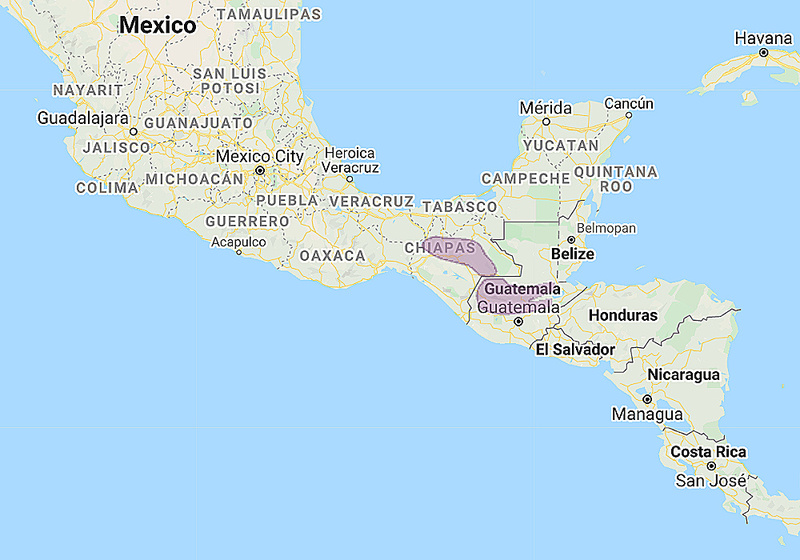 Distribution: Chiapas, Mexico to central Guatemala. 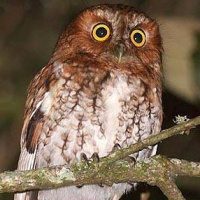 Status: Probably rare and endangered. Original Description: Sclater, Philip Lutley, & Salvin, Osbert. 1868. Proceedings of the Scientific Meetings of the Zoological Society of London for the Year 1868, pt. 1, p. 56-57. 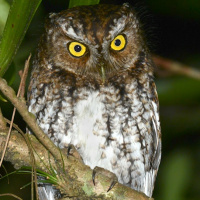 See also: Other owls from North America, Central America, Genus: Megascops. Page by Deane Lewis. Last updated 2015-10-08.